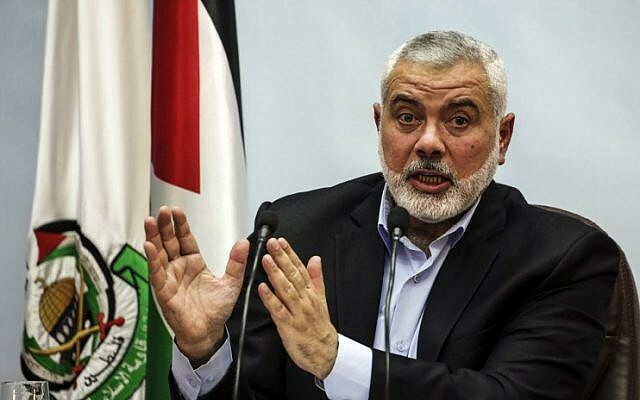 Ismail Haniyeh, the Gaza leader of the Hamas terror group’s political bureau, said Thursday that Palestinian protesters will “bring down the walls” surrounding the Strip during mass demonstrations expected on the border Friday. “We shall continue to knock on the doors of this huge prison, and we shall eventually bring down its walls,” Haniyeh said in an English-language column for the Middle East Eye, a Britain-based website whose coverage on Israel is overwhelmingly critical. In the op-ed, Haniyeh claimed that the mere fact that no Israelis have been hurt in the demonstrations was “proof” that they were nonviolent, despite vast recorded evidence to the contrary. The weekly massive protests have been held on the border since March 30, and have included violent riots, attempts to breach the security fence and the sending of hundreds of flaming kites and balloons over the border, starting countless fires that have destroyed large swaths of land. 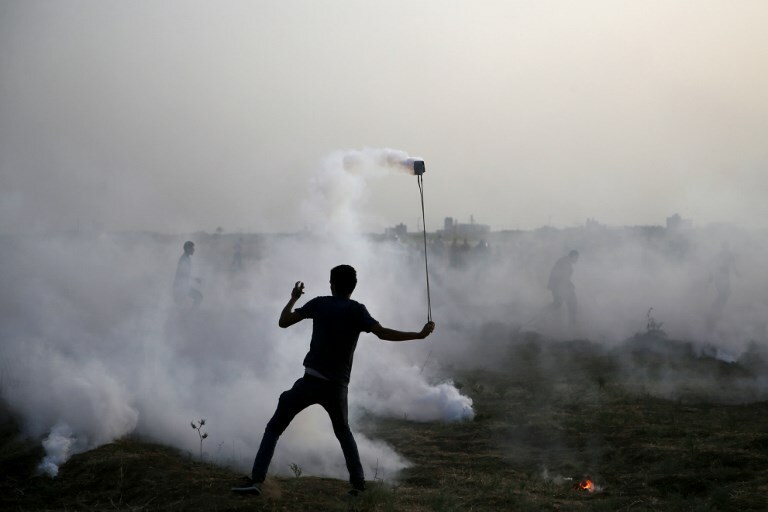 Under the banner of “March of Return,” more than 110 Palestinians have been killed in mass violent clashes with Israeli security forces — most of them members of terror organizations, according to the Palestinian groups themselves. 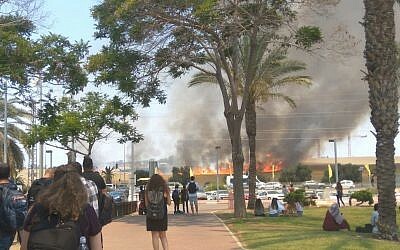 Israel says the mass demonstrations are being orchestrated by Hamas as cover for the attempted attacks and breaches of the border fence. This week, the march also commemorates Naksa Day, the anniversary of Israel’s victory against Arab armies in the 1967 Six Day War, which was officially marked on Tuesday. Mass protests were originally expected on that day, but they were delayed by organizers until Friday. Israel, which has fought three wars against Hamas — the terror group that rules Gaza and openly seeks to destroy Israel — has imposed a blockade on Gaza since the group seized the territory from the internationally backed Palestinian Authority in a bloody coup in 2007. It says the blockade is in place in order to prevent weapons and other military equipment from entering the Strip. In 2005, Israel evacuated all of its settlements in Gaza and pulled out all of its civilian and military presence there. Critics point to worsening humanitarian conditions in Gaza and say the blockade amounts to collective punishment of the two million Palestinians living there. There have been many reports that Gaza is “on the verge of collapsing,” and that it could plunge into a new round of fighting with Israel if conditions do not improve.